Ohio State head coach Urban Meyer in the third quarter against Clemson in the Discover Orange Bowl. 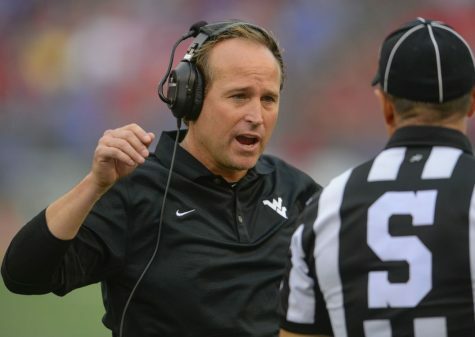 Wide receiver Mike Shanahan was hired by Paul Chryst as a graduate assistant. 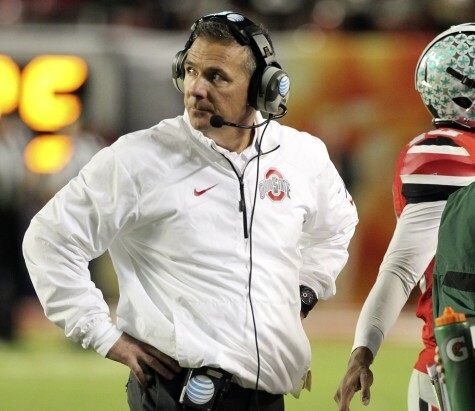 Ohio State beat Oregon in the first College Football Playoff championship game. 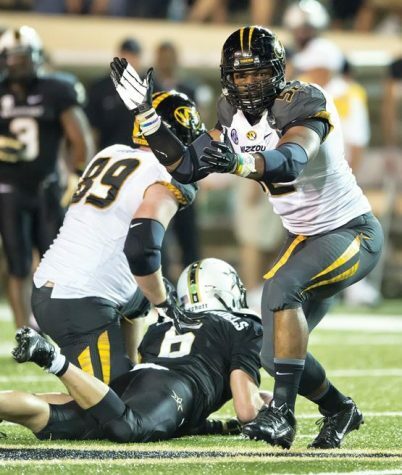 Isaac Bennett runs into the end zone against Houston. 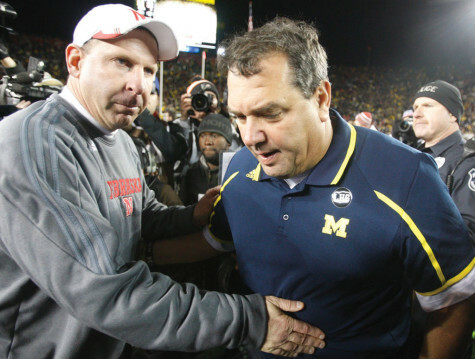 Both Bo Pelini (L) and Brady Hoke (R) were fired over the past week. 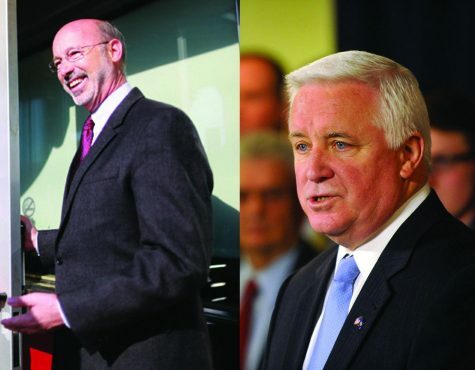 Tom Corbett and Tom Wolf compete in today's election. 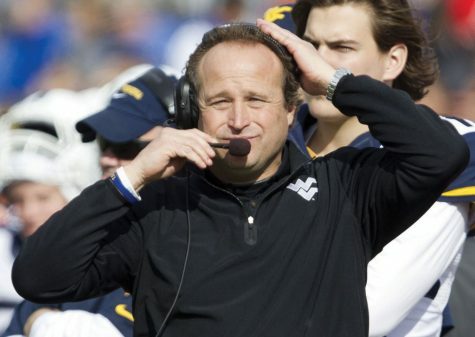 Dana Holgorsen has said he wants to schedule Pitt in non-conference games, but no efforts have been made towards doing that. 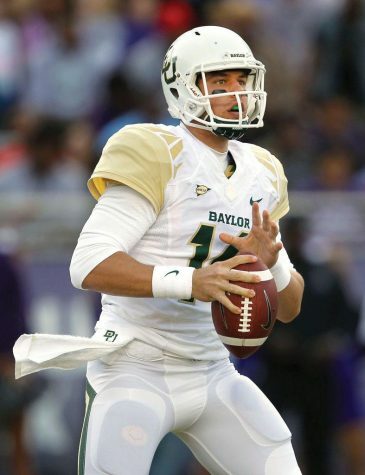 Bryce Petty is a favorite to bring home the prestigious Heisman Trophy. 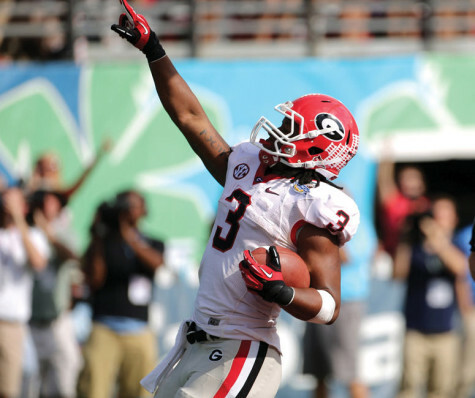 Star running back Todd Gurley was suspended for last week's game for signing autographs in the spring. 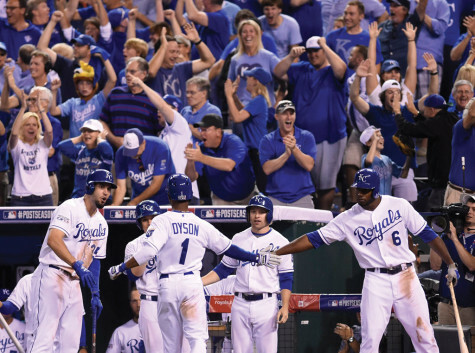 The Kansas City Royals are this year's surprise playoff team and are headed to the ALCS. 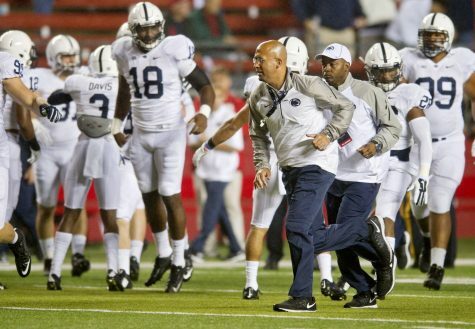 Pitt will renew its series with Penn State, beginning in the 2016 season. 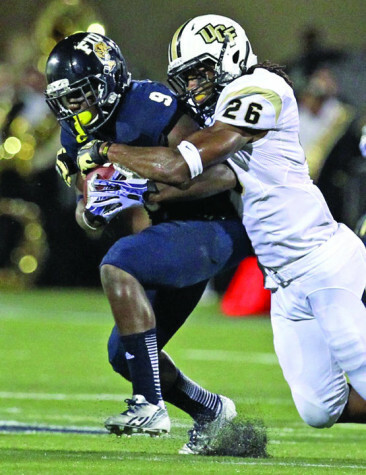 Jameis Winston and Florida State won the last BCS Championship under the previous playoff format. 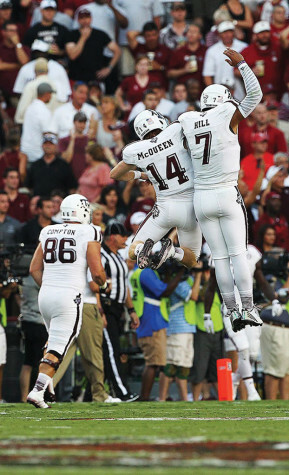 Kenny Hill has been compared to his predecessor often since his breakout performance on Thursday. 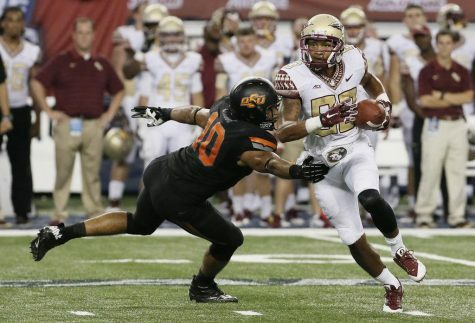 The outcome of Florida State-Oklahoma State was one of the many surprises from week one of college football. 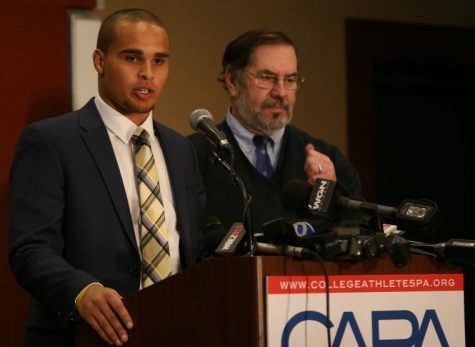 Former Northwestern University quarterback Kain Colter led a movement that resulted in the Chicago district of the National Labor Relations Board deciding to allow the Wildcats football team to unionize. 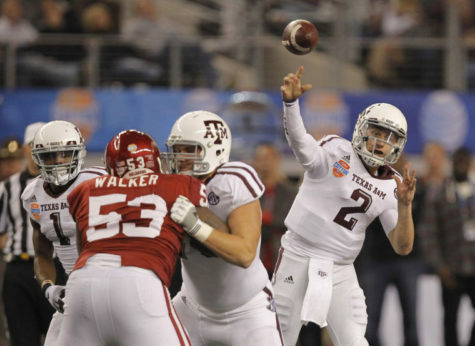 Heisman Trophy winner Johnny Manziel faces a possible suspension, raising issues of athlete's compensation.